On 19th July, CAE joined with individual and organisational Changing Places campaigners at Barbican Cinemas to celebrate Changing Places’ 10th Anniversary. The essential facilities meet the needs of nearly a quarter of a million people who require personal assistance to use a toilet. This includes people with profound and multiple learning disabilities, head injuries, cerebral palsy, motor neurone disease, multiple sclerosis, muscular dystrophy, spinal cord injuries, stroke survivors, people living with dementia, injured veterans and more. 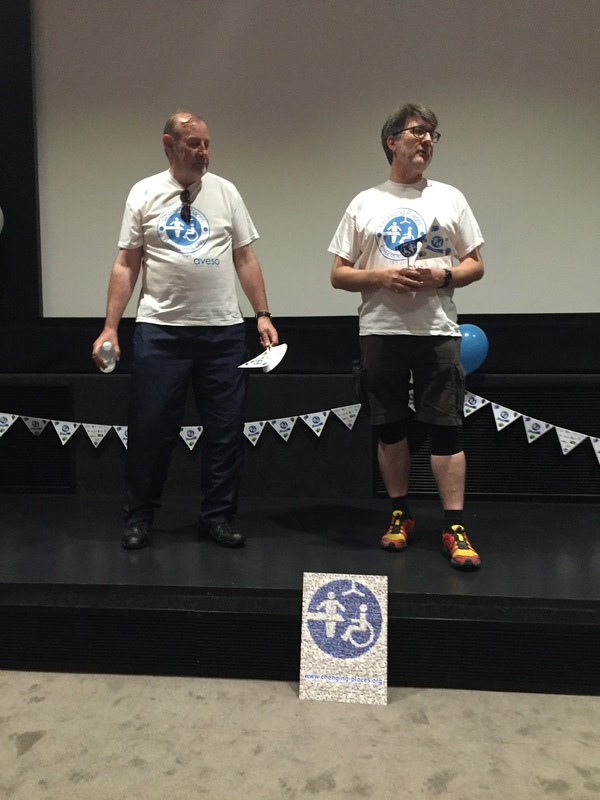 After snapping a few #CPSelfies, participants gathered in the theatre where Mike LeSurf (Mencap) and Raymond Martin (British Toilet Association) expressed thanks to thousands of campaigners who have made 850 Changing Places a reality across the UK and even more around the world. They then took off on their ‘URGENT RUN’ to raise awareness of the fully inclusive loo facilities around London. Despite it being the hottest day of 2016, Mike and Raymond ran from Barbican to City Hall, Tate Modern and Houses of Parliament. They were met at their final stop by Mencap colleagues and volunteers who all got to meet Jack Dromey, MP. Back at the Barbican Cinemas, Rob Oakley, Head of Access at the City of London emphasised the importance of having Changing Places facilities to make the City inclusive and accessible to residents, tourists and attendees of events such as the Lord Mayor’s Show. He affirmed that the City of London Access Group recommends Changing Places wherever practicable on new development proposals. Rebecca Oliver, Licensing and Access Manager at the Barbican Centre shared that surprisingly the Barbican’s is the first, and so far only Changing Places in a UK cinema. When the cinemas were being planned, she saw available space as an opportunity to have one installed. She also asked everyone to spread the word that it is open to the public every day until 11:00pm, even for those without tickets to a show. Before taking everyone on a toilet tour of the Barbican’s Changing Places facility, Rosie Gandy and Wendy Payne from the official Changing Places sponsor Aveso (comprised of OpeMed and Astor Bannerman) delivered a seminar about who benefits from Changing Places and reviewed the specifications of the building standards. They gave practical recommendations on how equipment including the changing table, ceiling hoist, peninsular toilet, privacy screen and washbasin can be installed. They also explained why the 12-square metre size and provision of a privacy screen is so important, particularly to allow dignified use of the loo by family or carers who are unable to leave loved ones on their own outside. Finally, Rosie and Wendy noted that services such as large shops and attractions without a Changing Places are missing out on the Purple Pound, which values the combined household income of disabled people and their families at 212 billion pounds per year. 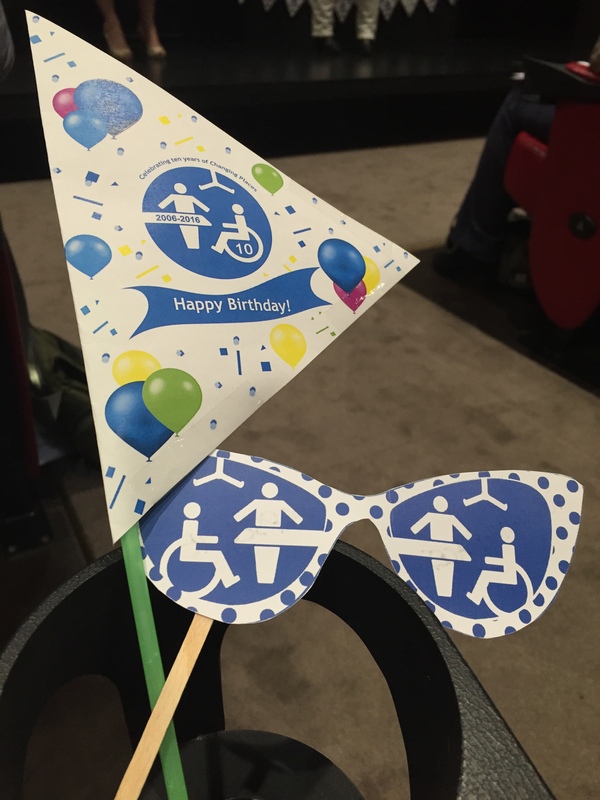 For more information on Changing Places’ achievements over the past ten years, please download a free copy of the 10th anniversary publication.